Home / Becky Adlington Training heads to the South West! Becky Adlington Training heads to the South West! 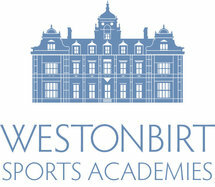 We are thrilled to announce our new host partner: Westonbirt School in Tetbury, Gloucestershire! The future looks bright for Becky Adlington Training as this new partnership allows us to offer our aquatic training and development opportunities across the South West of England. Westonbirt School is a prestigious, vibrant community and educational establishment for 3-18 year olds. With excellent sporting facilities, enviable outdoor space and a site easily accessible from Gloucester and the M4 corridor, it is the perfect venue to expand our courses and welcome more candidates into our BAT family! Discussing the new partnership, Becky said, “I’m so excited to have Westonbirt come on board as host partners for Becky Adlington Training. Between us, we’ll deliver even more Swim England qualified teachers who are passionate about inspiring young people to swim through fun, high-quality swimming lessons”. We also caught up with the Head of Westonbirt School, Natasha Dangerfield, who said, "This is an exciting time for Westonbirt as we move into co-education in our senior school. Alongside this key development, we are always looking for the right opportunities to expand our educational provisions. To be able to offer our own extensive swimming programme and train swimming teachers to the highest standard in partnership with Becky Adlington Training, is an exceptionally exciting prospect".